A flame-resistant magnesium alloy developed by Professor Yoshihito Kawamura at Kumamoto University is attracting attention around the world, not least in the aircraft industry. As the lightest of all the structural metals (a quarter that of iron and two thirds that of aluminum), magnesium is widely used in such applications as computer and camera casing. However, conventional magnesium alloys ignite at temperatures of between 550 and 600 degrees centigrade, limiting their applications. When Professor Yoshihito Kawamura of Kumamoto University’s Graduate School of Science and Technology began researching magnesium in 1999, development of magnesium alloys was said to be at its limit. 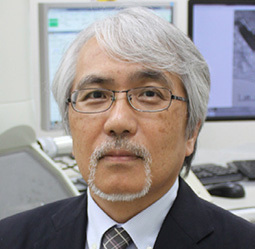 However, Professor Kawamura persisted in his quest for an alloy that drew new properties from magnesium and thereby increased their range of applications. After a long process of tests on some 450 alloy blends, in which he changed metal blend ratios by 1% at a time, in 2003 Professor Kawamura developed a lightweight magnesium alloy incorporating zinc and yttrium that boasted a unique characteristic for a magnesium alloy: flame-resistance. 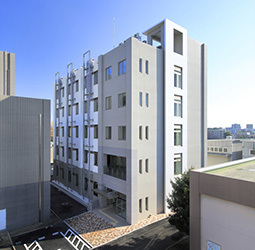 The development of basic technologies for commercialization of this next-generation KUMADAI Magnesium Alloy (Kumadai is the short name for Kumamoto University in Japanese) commenced in 2006 as a five-year industry/academia/government project primarily based in Kumamoto Prefecture. Thereafter, in 2011, Kumamoto University established the Magnesium Research Center and invited Professor Kawamura to be its director. One of the research challenges for the center relates to the application of KUMADAI Magnesium Alloy as a structural material in airplanes. The aircraft industry is a promising one for the application of magnesium alloys because weight reduction greatly affects fuel consumption. The Federal Aviation Administration (FAA) had forbidden the use of magnesium alloys in airplanes, but in response to strong requests from materials manufacturers, in 2007 revised its testing methods for flammable materials. In February 2013, Professor Kawamura sent samples of the KUMADAI Magnesium Alloy to the FAA to request testing using the administration’s latest combustion methods. The following month the FAA reported that the KUMADAI Magnesium Alloy had not ignited after being heated at 930°C for four minutes. “The FAA’s material acceptance criteria are that a sample should not ignite within two minutes after the start of heating, and that after ignition, the flame should extinguish naturally within three minutes after heating stops. That is, the criteria are based on the condition or assumption that the samples actually ignite. Our samples did not ignite at all, far exceeding the acceptance criteria,” says Professor Kawamura. Subsequently, the FAA removed the ban on the use of magnesium alloys in airplanes, sparking joint development between Kumamoto University and the Boeing Company in 2014. The two entities are proceeding with research aimed at introducing the material to an airplane whose development will commence in 2020. “If magnesium alloys become widespread in the aircraft industry, it is certain to stimulate their application in other fields as well, such as automobiles and high-speed trains,” says Professor Kawamura. 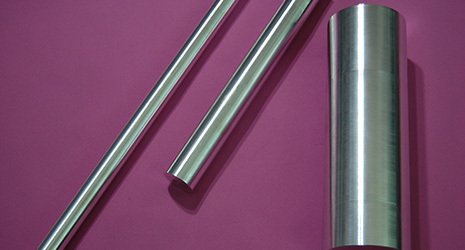 The Magnesium Research Center is presently investigating the application of KUMADAI Magnesium Alloy in medical fields, such as in the bolts and joining plates used in treating fractures and in coronary artery stents. Such metal devices usually need to be removed after a period of time, but magnesium dissolves if it is left in the body for six months to a year. In this scenario the disadvantage of magnesium, the ease with which it erodes, becomes an advantage, reducing the burden on patients. Tests using the material on mice will commence shortly.